The motion and its accompanying proposed order come just days after Samsung was dealt a blow from a U.S. jury who found the company guilty of violating a number of Apple design and utility patents, with damages owed adding up to over $1 billion. Despite being found in violation of six out of seven asserted patents, Samsung managed to partiallly escape judgment against the Galaxy Tab 10.1, which Apple claimed infringed upon its D'889 iPad design patent. The Korean company's tablet was found to have violated several software patents, though the preliminary injunction was based on the design property alone, thus brining into question the injunction's validity. As pointed out by The Verge, the Samsung device was taken off the market in late June due to potential infringement, but now that the jury has ruled otherwise, the Korean company is seeking both to dissolve the sales ban and collect damages from Apple. 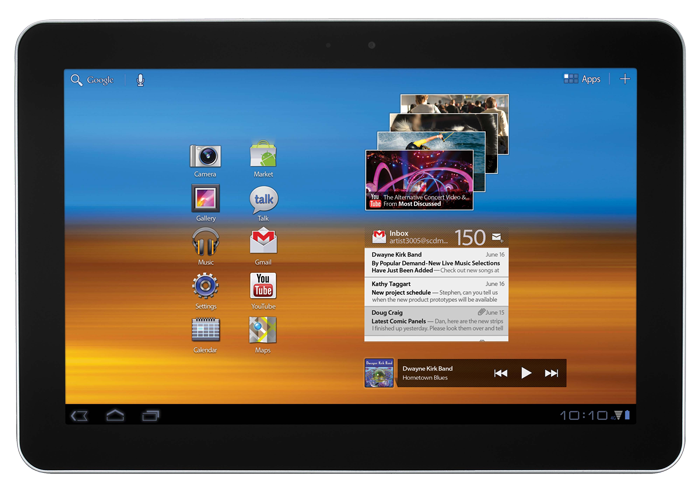 Here, the jury found that Samsung‟s Galaxy Tab 10.1 does not infringe the D‟889 patent. Since the purported infringement of the D‟889 patent was the only basis for the preliminary injunction, the jury‟s finding means that Samsung had a right to sell the Galaxy Tab 10.1 during the period in which the injunction has been in effect. Samsung is therefore entitled to recover damages caused by the improper injunction, and the Court should retain the bond so that it may do so. Apple first tried to have the Galaxy Tab 10.1 blocked in the U.S. in December of 2011, but was shot down as Judge Lucy Koh said the company would not suffer irreparable harm from its continued sale. The jurist ultimately granted the injunction, however, after Apple successfully appealed the ruling with the Court of Appeals for the Federal Circuit and re-filed for the sales ban in May. In order for the preliminary injunction to take effect, Apple needed to post a $2.6 million bond, which Samsung is now requesting the Court retain until a hearing can be held to argue damages incurred by the sales stoppage.